This is what was missing from the photo of Jean-Paul. If you really want to see the whole, uncensored photo, follow this link. If you stumbled upon this page from elsewhere, read the story here.  This is the uncensored version of Jean-Paul's portrait. Back to the story here. Old press releases about Michael's work are filed below. 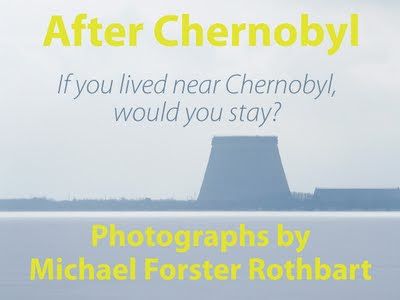 After Chernobyl, an exhibit of Forster Rothbart’s documentary photographs, will be displayed for two months in the Madison Municipal Building ARTspace gallery, 215 Martin Luther King, Jr. Blvd., from September 3 to October 30, 2009. The exhibit reveals daily life for Chernobylites, including residents who chose to stay in the Chernobyl-affected region and liquidators, veterans of the massive Soviet clean-up after the accident. Forster Rothbart was a staff photographer for University of Wisconsin-Madison for six years and worked previously as an Associated Press photographer in Kazakhstan. During the past year, he lived in Sukachi, Ukraine, a small farming village just outside the Chernobyl Exclusion Zone. He also spent time in Slavutych, Ukraine, the city built after the accident to house evacuated Chernobyl plant personnel. The exhibition is sponsored by the Madison Arts Commission and FOCCUS (Friends of Chernobyl Centers, U.S.), a Madison-based non-profit that works with community centers in the Chernobyl region. Meuer Art & Picture Frame Co. and UW-Madison CREECA (Center for Russia, East Europe and Central Asia) also contributed to the exhibit. Forster Rothbart worked closely with FOCCUS, founded by UW-Madison professor Norma Berkowitz in 1996. A FOCCUS fundraiser on Oct. 22, 2009 will coincide with the exhibit. Details will be available at www.friendsofchernobylcenters.org. A second exhibit of Forster Rothbart’s work, Inside Chernobyl, documents the lives of nine of the 3,800 people who continue to work inside the Chernobyl Nuclear Power Plant. 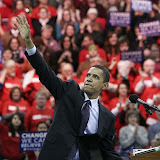 This second exhibit premiered in Kyiv, Ukraine, last April and will travel to Washington D.C. in 2010. Forster Rothbart is working with media partner Voicethread.com to create interactive online versions of both exhibits. The City of Madison distributes funds to Madison artists and non-profit organizations through the Madison Arts Commission's annual grant programs. The Madison Arts Commission’s ARTspace program is open to all Madison visual artists who would like to showcase original two-dimensional works in highly utilized cityspaces. For more information visit our website at www.cityofmadison.com/mac. • Two 7-meter-long circular panoramas, showing Control Room 1 and the entire plant, giving visitors the impression of standing inside the site. • Life stories told by the people who work at the Chernobyl nuclear power plant. The “Inside Chernobyl: life goes on” photography exhibit will be displayed for one month, June 5th to July 3rd, 2009, in the Slavutych museum, which is located at 7 Druzhby Narodiv Street in Slavutych. The exhibit will open June 5th, 2009 at 7 p.m.. The five families profiled were chosen to represent a diverse cross-section of their community. Through large-scale photographs and texts based on personal interviews, viewers will learn about the workers’ jobs and lives. The exhibit was created by American photojournalist Michael Forster Rothbart, in cooperation with residents of Slavutych. Forster Rothbart is a U.S. Fulbright Scholar in Ukraine. He has been photographing the lives of villagers near Chernobyl since 2007.